Inhalable Dust – is the fraction of airborne material greater than 10 microns in size, which enters the nose and mouth during breathing and it is therefore liable to be deposited in the upper the repertory tract. Respirable Dust – is the fraction of dust particles less than 10 microns in size, which penetrates deep in the lungs where gas exchange takes place. Silica (SiO2) is a naturally occurring widely abundant mineral that forms the major component of most rocks and soils. There are non-crystalline and crystalline forms of silicon dioxide. 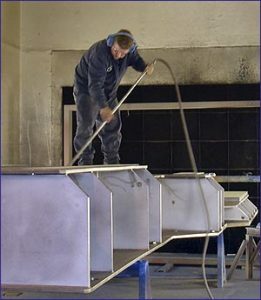 In dry form, only fine Crystalline silica constitutes a toxic respirable dust hazard, since its inhalation as airborne dust could give rise to silicosis. 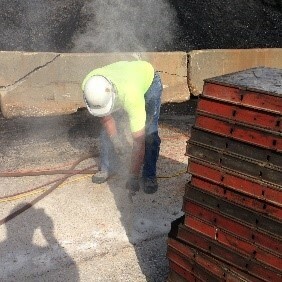 The non-crystalline form of silica does not cause this kind of lung damage. There are recommended limits for employee exposure to inhalable and respirable dust and crystalline silica. If it is suspected that employees may be exposed to excessive dust levels, monitoring will confirm the exposure and assist in identifying problem locations and developing control strategies. Conduct personal inhalable and respirable monitoring to assess your employees’ individual or Similar Exposure Groups (SEGs) dust exposure. 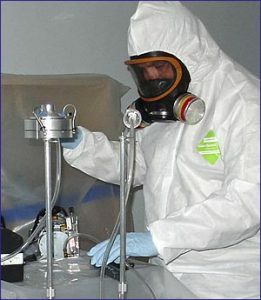 Conduct static (fixed) inhalable and respirable monitoring at strategic locations to assess environmental dust levels. Conduct real time (process specific) measurements of dust concentration using monitoring instruments, to determine dust levels generated by specific processes or movements in the workplace. 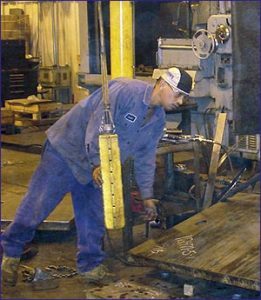 Provide guidance about the required OSHA written program and sampling frequency. Guide you as to what action is required to reduce or eliminate dust levels to healthy and acceptable levels in your workplace. Provide advice on required respiratory protection available and the type most suitable for the occupation and/or environment that you deal with. 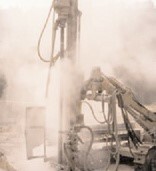 Activities such as a mining, rock-drilling, sandblasting, construction, foundry work, stonecutting, drilling, quarrying, building and general construction work, road work and road construction, cement manufacturing, demolition operations, sweeping, or masonry, and tunneling operations all can create an airborne silica exposure hazard.